First, it needed to be super simple. I didn’t want 10 different speed settings or unlimited font sizes, just typical speeds and sizes that were readable from 5-10 feet away. Another key area was the design. I wanted an interface that was a couple shades of black and that’s about it. Super clean, super simple and most importantly functional. The user experience needed to be plug-n-play with no explanation about what to do necessary. You can immediately type on the screen thanks to an inline editor, hit play and go. That’s the obvious. For the easy, you can paste from word or to plain text, adjust the font color and highlighting, add list items and the old standbys B and I. It’s also easy to adjust the speed and font size, thanks to 3 presets for each. All in, it took about 4 hours of work and tweaking to get the desired effect. I spent a couple more hours compressing files and making the site super snappy on an iPad or laptop. Did I need to build it? No. But what I wanted just wasn’t out there and the project seemed like a great way to spend a Friday. I got to stretch my brain muscles and put something together that gives me utility, and hopefully others. 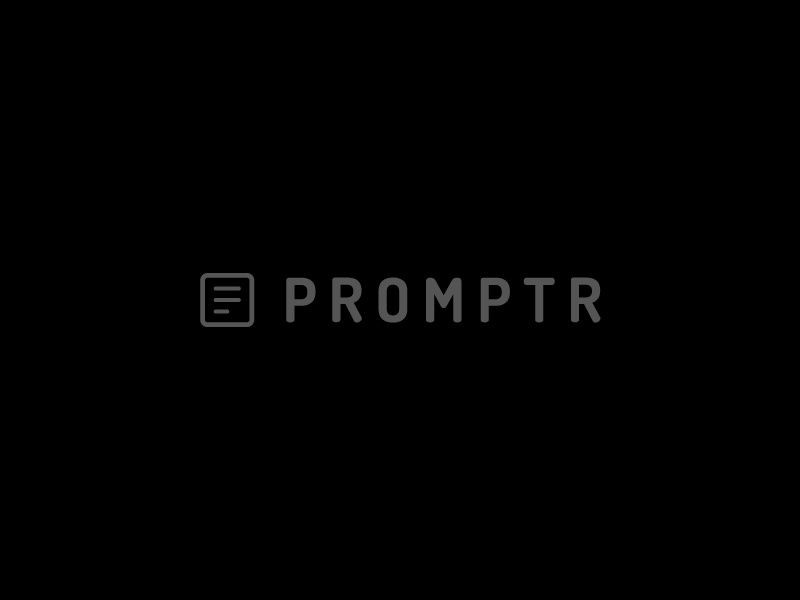 If you’re needing a simple, no-frills teleprompter for video, speeches or read-throughs, then I hope you give http://promptr.co a try.